Governor Andrew M. Cuomo last week announced the $150 million reconstruction of the Woodbury Transit and Economic Development Hub will be completed five years ahead of schedule‎, moving up expected completion of the design-build project from 2024 to 2019. 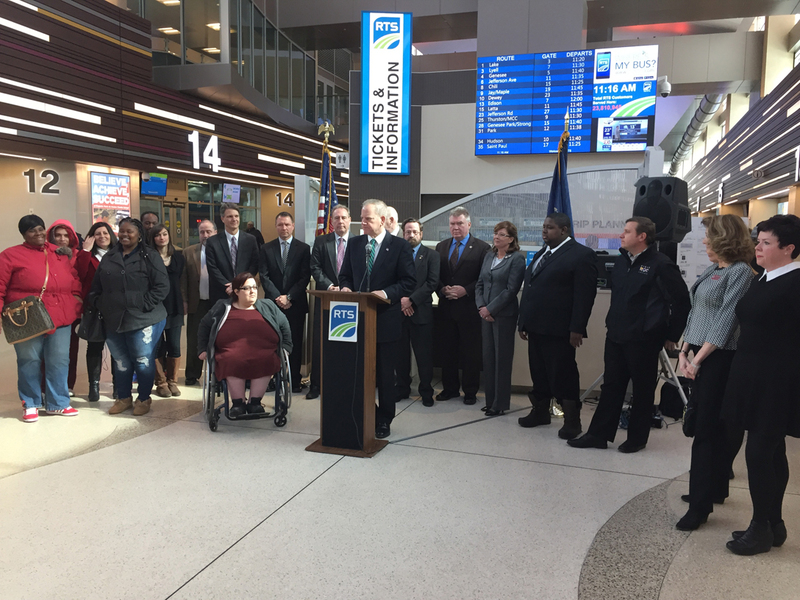 The transit and economic development hub project will further bolster Woodbury Common's booming tourism sector and strengthen the local economy -- creating more than 600 jobs and significantly reducing congestion in the Mid-Hudson region. A key GOP lawmaker said Wednesday that President Trump’s $1 trillion infrastructure package won’t be entirely funded with public money and could include projects that are already in the works but have been stalled by the slow federal permitting process. Cars have been at the heart of American culture for more than a century. Until recently, getting a license and buying a car were considered rites of passage, and the car you chose was widely regarded as an expression of your identity, reflecting your priorities and revealing your status.All that is now changing. The advent of car sharing, ride-hailing and self-driving vehicles presages a radical transformation in consumer behavior. Please join us Wednesday, March 15 at 12 noon as CDTA's Phil Parella discusses the realities of developing and managing a transit system budget. Transit agency budgets must be developed, adopted and then implemented with the input and involvement of a number of key players agency-wide. This webinar will address how to develop and maintain a sound transit agency budget amid a far-reaching spectrum of community needs.Click here to register.